So I decided to swing by and check out the "Upcoming Books" page for Jennifer Crusie (author of our current Featured Book, the excellent Maybe This Time). 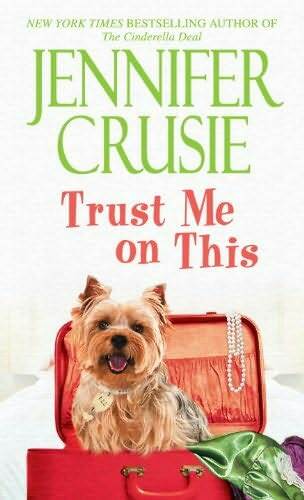 And while it's possible some of the books on her list won't appear for years, there are several Crusie titles worth getting excited about in the near future, including Trust Me On This, a re-issue of one of her early series romances, and four(!) books in an upcoming mystery series about a ghost writer with the improbable name of Liz Danger. I'm unclear on how the Liz Danger books will work, but seeing as two of them are being released next summer, I don't think we should expect full-length, standalone novels. However, as long as they don't charge me full-length, standalone novel prices, I totally don't care.